Chrysler Cirrus used the 41TE transmission. This transmission was known as an electronically controlled automatic version that included overdrive. Chrysler made use of this in several cars including the Sebring, Neon, Cirrus and the Avenger. The heart and soul of this transmission is the control module. The shifting pattern offered was smoother using the TCM unit instead of the average automatic transmissions used in earlier Chrysler cars. We have Chrysler Cirrus transmissions for sale that are ready to ship to any destination in the world. We believe in expert customer service here at www.GotTransmissions.com and that’s what we give. 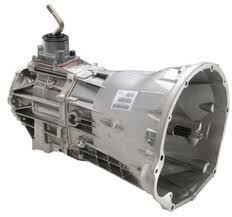 We do not get a lot of questions about the quality of what we sell or what comes with each transmission. The reason for the lack of questions is simple. We take the time to describe our inventory on every page of this website. We answer a lot of customer questions this way. This cuts down the need for us to hire an employee just to read emails and answer questions. The savings that we get from this is put right back into our company to make it better. We have upgraded our website with leading technologies to make it easy to navigate. We include accurate photographs and written descriptions to make your searching process faster and simpler. You have to watch out when buying transmissions from the Internet. There are two types that are commonly sold and the price is very different. The first ones come without a torque converter. These are the ones that you find on eBay. The second types are functional transmissions that are complete. These are mostly sold to salvage dealers and mechanics that do swap outs. These cost a little more and the price can vary from seller to website. The used transmissions we have for sale are sold in a complete version. This means you don’t have to add anything to get them to work. You just bolt them on and turn the key of the ignition. It’s really that easy. We still clean our gearboxes up before they are sold. We don’t have to but we take the extra step. We know customers appreciate something that resembles a new transmission even though they are paying used prices to get it. The cleaners that we use do not harm the exterior steel housing and actually help deter dust, dirt and grime from getting inside and damaging the gears. It is the little extra touches that we give to each transmission that makes it absolutely great. We aim to please all our customers that buy our Chrysler and Dodge transmissions for sale online. We literally deliver hundreds of online quotes 24 hours a day. The reason is that our prices are lower than most sellers and it is not a hassle to get pricing. You can do it right from your computer and you don’t need our help. The form on this page will guide you. It takes all of 30 seconds to complete. You can always call 1-866-320-1182 if you need anything. We’re here for you.